Intuitive netplay: you create or join netplay rooms directly from the menu. Ability to change the icon set on the fly. Almost all libretro cores are now enabled on every image. Important Vsync Bug fixed on Orange Pi. Fixed physical keyboard typing in the menu. Core updates include support for netplay and cheats. New renderers for PSX and N64 emulators. If you remember previous versions, we had to manually activate certain cores or engines. 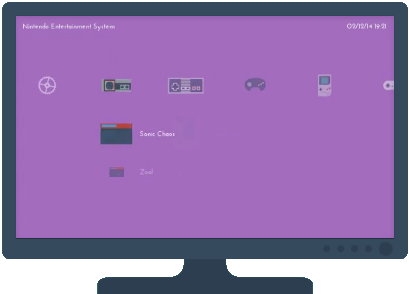 Well, now almost all are activated by default, and you have a few to not be bored: EasyRPG (to play games created with RPG Maker), UAE4ARM, PUAE (another Amiga Emulator), CrocoDS (Amstrad CPC), VICE, PocketCDG Karaoke player), XRick, Frodo (Commodore 64), Mr.BOOM (bomberman clone) and bSNES (focuses on accuracy over performance).